'Hark! 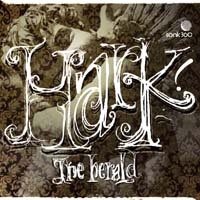 The Herald' is Hana Miya's contemporary take on the classic carol. This haunting rendition marries Hana's inimitable vocals with her gentle piano accompaniment to create this peculiarly touching track. Exploring the sentiments of the original carol, this melancholic version delivers a traditional message to our increasingly destructive world. Available as CD-R release.